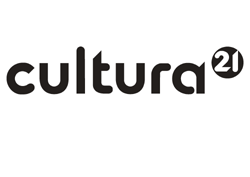 The International Network of Cultura21 is engaged in fostering fruitful exchanges between the arts and the change process of sustainability. This platform links art groups, researchers, activists and existing networks working on topics related to the role of the arts for cultures of sustainability. (To read more on Cultura21’s understanding of cultures of sustainability, click here for more information about the concept of Cultura21). The platform aims to facilitate exchanges and a learning process integrating research, activism and criticism. The search for relevant organizations and projects, constitution and extension of the network and further identification and publicization of best practice cases. Visit the contributed texts page on the Webmagazine and on the Wiki as well as on the current website and its forum. The conception and organization of joint-projects and international events with international partners.